Just bought a new Phone and want a quick way to export data from your old Phone to your new Phone? Use Phone Clone to transfer files quickly without using a data cable or mobile data. Open Settings and go to System > Data transfer > From Huawei device. Select your existing device type and touch With old phone (Phone Clone)	or alternatively follow the onscreen instructions to download the Phone Clone app on your existing device. From your existing Phone, open Phone Clone and follow the onscreen instructions to connect to your new Phone. 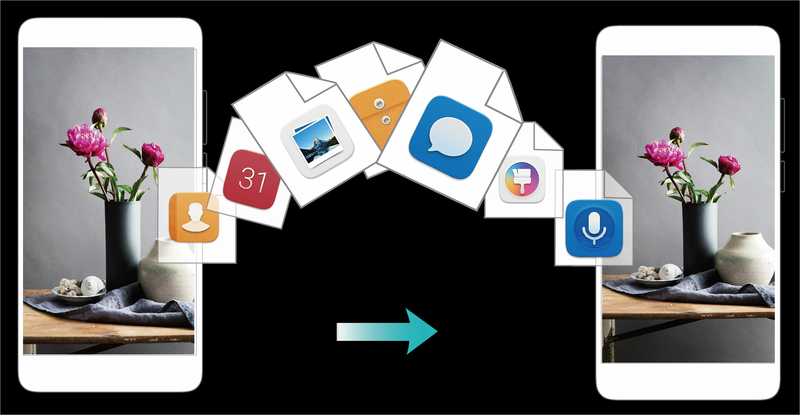 Select and transfer files from your existing Phone to your new Phone.